Despite a couple of years of slower economic activity, there is evidence that the province is moving full steam ahead. People however seem to be on the bad news bandwagon of job loss and cuts. From mainstream media, we could be lead to believe the sky is falling! It’s important to really investigate the growth that continues to build our community and province. The real news story is, despite sluggish times, people are still moving here, and most importantly, investing in Saskatoon in particular. 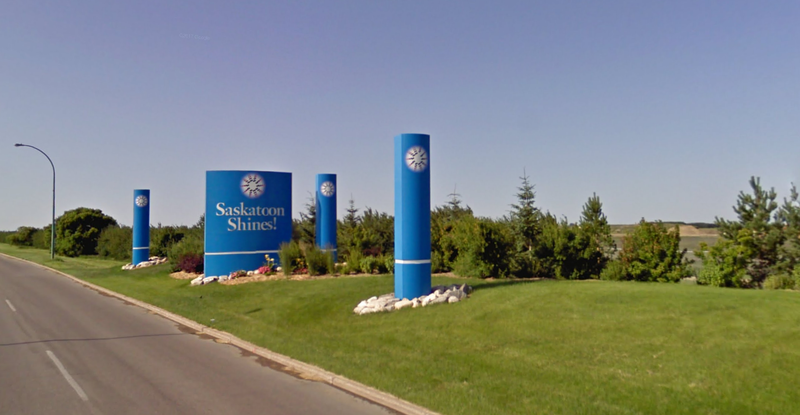 With overall industrial vacancy at 8.1 per cent Saskatoon, it wasn’t expected developers would be falling over themselves to snap up a recent City land tender. Unsold industrial land from tenders goes back into City inventory and while some parcels received no bids at all I can report that all high exposure corner lots were snapped up. Why? Because it’s still a good longer term plan to own land in the City’s north end. Some of this land will be ideally situated on corners fronting the new north arterial access of Marquis Drive as it leads to the North Commuter Bridge. 2018 is not far off and the bridge is expected to be open in time. The new Tim Hortons on the corner of Millar Marquis is already taking shape. 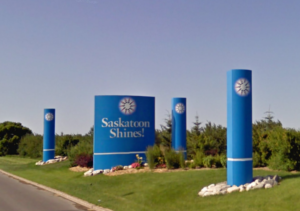 Office vacancy is slowly improving across the board in Saskatoon. One trend we’ve been tracking, however, is the low inventory in Class A product as it relates to the downtown core. Testaments to this are the new River Landing tower. At 155,000 square feet, there is speculation that half the building has been spoken for or serious interest. In a market with a total of 15.8 per cent office vacancy, that would seem a crazy notion. The possession on said tower will be one to two years away. In the meantime, local developer John Williams is close behind with the next idea. His World Trade Centre project on the 22nd St block extending from 3rd to 4th Ave, would accommodate 90,000 square feet. Another downtown project already on the radar of many is the River Quarry on 4th; what most will remember as the old police station. The local developer on this project is finishing renderings for a top to bottom makeover of the facility which will offer some of the best parking options on site for downtown office. With such a hard to find amenity like parking, this particular building will surely stand out as more details emerge. In an under retailed market, it’s no surprise that many retail centres that have been developed in the past few years have been pre-leased prior to completion. Our current retail vacancy is still incredibly competitive at 4.1 per cent overall. I was optimistic in a discussion with a reporter from Western Investor just today about the impact of the Sears closure on the retail environment downtown. With a good strategy, I think there is a real chance for the Midtown to attract even more retailers to their property and build a stronger asset. So things aren’t rosy but they sure aren’t grey either. It’s important to put things in perspective. In the words of my ever-hopeful colleague Josh Walchuk: People still want to be here, work here and invest here.